Jerusalem, a city full of prayers and dreams. On every step of it you come across evidence from the different cultures and religions. It is a city for religious tourism, but it’s really worthwhile spending two or three days to enjoy this mixture of civilizations and nations. It’s certain that you will not get bored, you can enjoy your cup of coffee at traditional neighborhoods, the Jewish, the Christian or the Muslim. You will have the chance to wonder to ancient roads and to take a walk around the walls. You can get lost to the Old City of Jerusalem which concentrates all the eastern charm, with its stone built buildings, the flea markets and the bell towers. Although Tel-Aviv is known for its nightlife, Jerusalem won’t let you down with its vividness. This thick multicultural amalgam may disturb you, may stress you, may shock you or it can fascinate you, certainly though it will not leave you untouched. Visit Jerusalem and book on time, one of the top hotels in town for your accommodation, there is also a great variety of hotels depending on your budget and its location. Due to the mixture of religious and cultures in Jerusalem the visitation, especially on religious holidays, is enormous. There is nothing easier for you who want to travel to the Holy Lands than making a secure and online reservation from the comfort of your sofa. For many centuries now thousands of pilgrims visit Jerusalem throughout the year, so don’t waist time and book now through our website airtickets at the lowest price you can get. 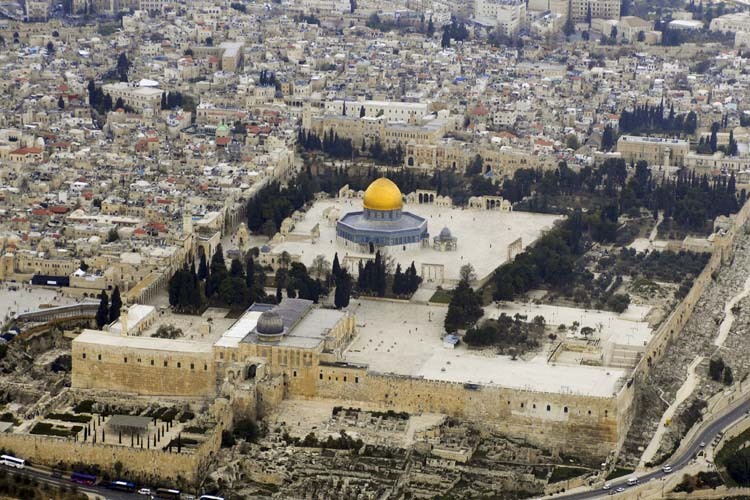 In Jerusalem there are many things to see such as, the Old City, the Wall of Tears, the museum of the Holocaust, the museum of the Seam which is dedicated to the social-political art and numerous more sites and interesting activities to experience.